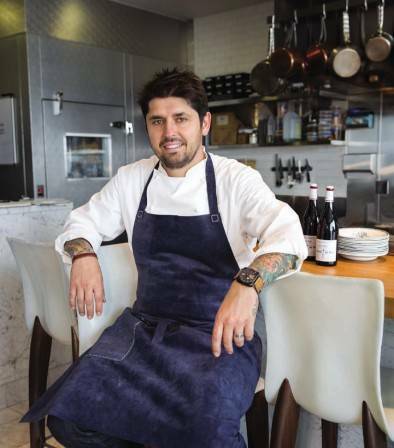 Chef Ludo Lefebvre already has some big plans for 2014. The infamous French chef will not only return to judge ABC’s The Taste tonight, but he’s also planning on opening a new restaurant. Petit Trois will open next door to Trois Mec, the non-refundable, set-menu, set-price eatery he opened with Vinny Dotolo and Jon Shook of Animal in 2013. The tweet included a photo of the new eatery’s planned storefront, which is located in an unassuming strip mall on Melrose Ave.